With some of Australia’s best cyclists on his books, the Signature Sport director shares how and why he takes a different approach to rider management. Caleb Ewan. Jack Haig. Simon Clarke. Rob Power. They are just some of the decorated WorldTour riders from Australia managed by Signature Sport. 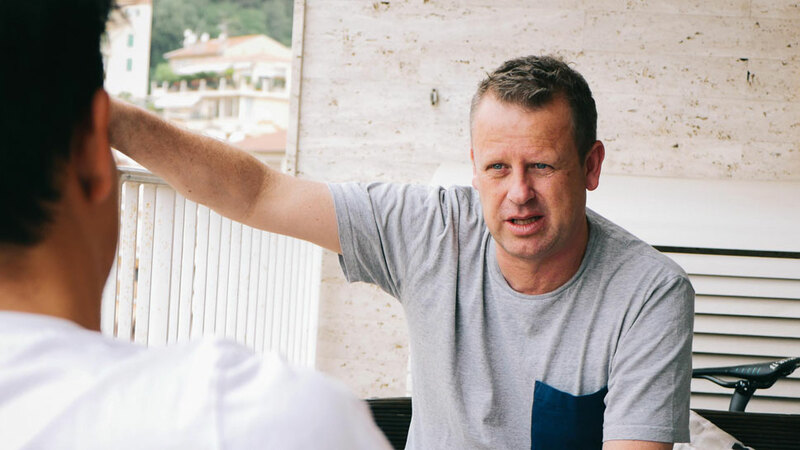 Speaking with Stanley Street Social, director Jason Bakker shares the process of taking on new talent, the common traits all of his riders possess, what he looks for in a new contract and how he supports Australian riders who are based in Europe. How does a new rider join Signature Sport? The process is different for everyone. There is no template for rider management. I used to watch Caleb down at the Bay Crits in Geelong on New Year’s Day and remember asking Matt Keenan what he thought about Caleb. For Rob Stannard, I was over in Qatar for the 2016 UCI Road World Championships. He clearly had a lot of talent and he’s made of some impressive stuff. While Brad Linfield (former Australian road cyclist) rang me about Rob Power. Some riders get endorsements or recommendations, others I see at the Road National Championships. I would still like to keep growing my list, but volume is not what I’m all about. It’s more important to have a small number of riders who I have a personal relationship with. Are there common traits your riders all possess? There are multiple traits they all possess, but in varying degrees. They’re all humble, driven, respectful, courageous and resilient. They move overseas, leave their life in Australia behind and put everything down on the table to give it a go. They are all damned talented and there’s also a real camaraderie among the guys coming through. What do you look for in a first contract? The right team – the team I think fits them best. But that can often become clearer once the rider starts to develop. As with any person in sport, as the athlete develops their skillset and their personal characteristics start showing out, it’s about how that team fits the rider and vice versa. There’s a financial element too. The Aussies that go over to Europe haven’t got the benefit of being able to live at mum and dad’s house, under a roof with free rent or mum’s cooking. You’ve obviously got to go over there and start afresh, which means getting an apartment, setting up visas, paying for furniture. You also want to have some level of lifestyle, to afford reasonable food and not live on a bare-bones type budget. It’s also about going into a safe environment – an environment where they are going to get some opportunity and be cared for without being pressured too much. We don’t want riders to get worked to within an inch of their life. Typically, I think most of the teams we’ve got are pretty good. How do you help Australian riders who are living on the other side of the world? It depends who it is. That’s why I try not to have volume of riders because it is absolutely case-by-case. In Rob Power’s first year he stayed in Perth because he was injured. I was on the phone regularly to help with his morale. For someone like Caleb, he is economical with his conversations. Certainly, in the first year it’s about trying to get involved in establishing the rider’s lifestyle and their living arrangements in Europe. There are times when it’s just about lending an ear, other times when you offer advice, you try to motivate. And then there are practical things like compliance, setting budgets and problem solving. When I go to Europe, I’m a friendly face at the race saying hello, but not getting in the way. Most of the guys I’m with don’t need to see me there all the time, but I try to be there as a good source of support. Broadly speaking, I’m a confidant and I can offer a perspective from outside of cycling and the team. To hear the entire interview with Jason Bakker visit the Stanley Street Social Podcast presented by MAAP.